The Ultimate Guide to the SDLC is a complete and ready-to-adapt System Development Life Cycle that covers every aspect of system development from project inception to production and everything in between. Available as an eBook for years, it stands as the most complete and comprehensive guide of its kind. Immediate access to the downloadable content upon purchase. The Ultimate Guide to the SDLC is a complete and ready-to-adapt System Development Life Cycle that covers every aspect of system development from project inception to production and everything in between. 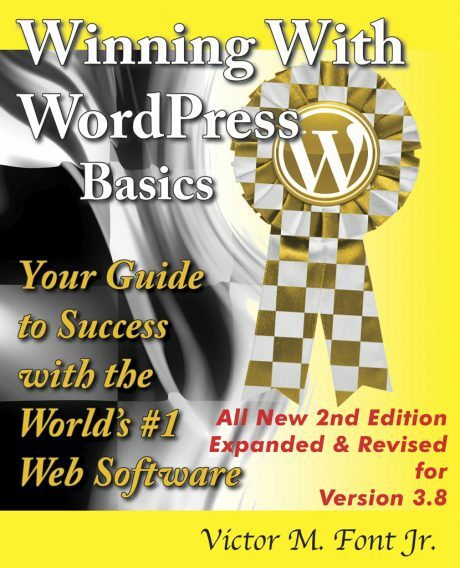 Available as an eBook for years, it stands as the most complete and comprehensive guide of its kind. You'll receive immediate access to the downloadable content upon purchase. 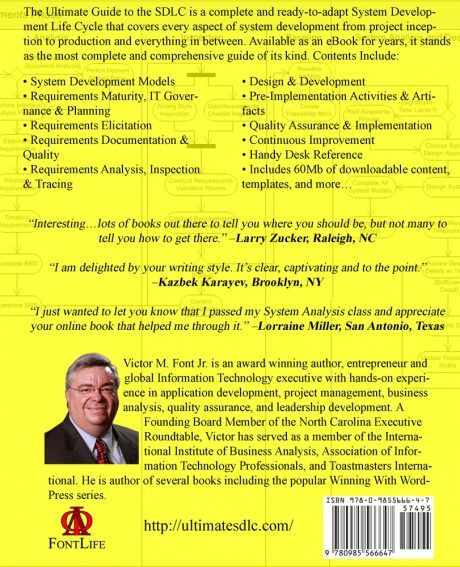 ...The author has truly “hit the nail on the head.” Whether you are an academic student who is aspiring to be an IT professional one day, a trainee that has just started career, a business & quality analyst and manager that has years of IT SDLC project experience—a must read for an IT professional at all levels of IT journey. —Sekhar Bommana PMP, ITIL, VP – Strategic Solutions & CoEs, Infomerica, Inc. This book is a great roadmap to anyone developing a System Development Life Cycle. It contains a wealth of research, comparative analysis and valuable lessons learned from someone who's been there, done that. The information compiled here by the author will save you time and money. I especially liked the Handy Desk Reference loaded with useful charts and graphs. How Does the SDLC Help Manage Quality? What are the Differences between Quality Control and Quality Assurance? What are Three Common Misconceptions about Quality?